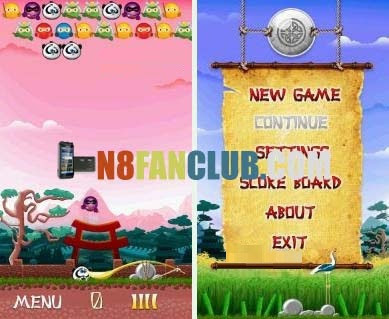 Ninja Shooter is a addictive shooting game for Nokia smartphones developed by XIMAD The games gives hours of fun with this creative twist on the classic game Bubble Shooter. The feud between Pandas and Ninjas is very old. So old in fact, that no one remembers when it started.